Snacking on the road can be difficult because there aren't always healthy options at gas stations and rest stops. Here are a few trips for snacking during a long drive. 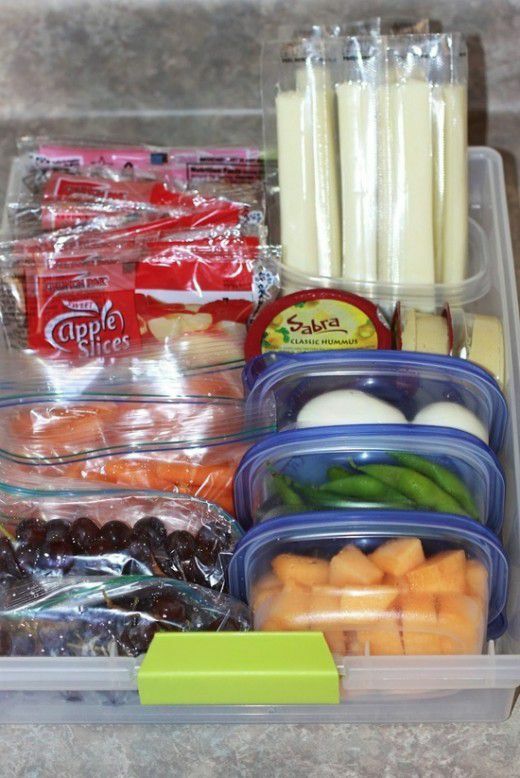 Pre-pack your snacks for the week. Cut up some fruits and veggies that you like and put them in baggies. Then you can just grab and go. Buy in bulk and pack in portions. Almonds are a great snack, and they're much cheaper when you buy bigger containers of them or if you can buy them at a bulk foods store. Pita chips are also a great option.